October is drawing to a close and Halloween is almost here! The leaves are changing colors around town and the crisp autumn days give us thoughts of apple cider, pumpkin carving, and hay rides! The Holidays are just around the corner! Keller Williams started out the October fun with a Wacky Wednesday door decorating contest. At Home In Louisville Real Estate Group celebrated with a fun mummy door. How did we do? There are so many ways to enjoy the Fall Months in Louisville KY. Here are a few upcoming October events and outings to get your fall off to a fun start. Its always a great sunny autumn day with pumpkin picking and wine tasting at Hubers in Southern Indiana. Old Louisville will be hosting a Victorian Ghost Walk from October 26th-28th. If you enjoy a good scare, Danger Run will be open through October 27th. Crescent Hill, a Louisville neighborhood, has a standing tradition of trying to outdo neighboring homes by creating the best Halloween yard decor along Hillcrest Avenue. If you'd enjoy a little walk through the subdivision, they will be continuing the Hillcrest Halloween tradition this year. There are also still two more weekends to enjoy a Halloween party at the Louisville Zoo with the kids! Have a wonderful October everyone and stay safe while trick-or-treating! At Home In Louisville Real Estate Group will be holding an Open House at 3110 Pioneer Place, Crestwood, KY 40014 this Sunday October 21st from 2-4pm! 3110 Pioneer Pl, Crestwood, KY is a gorgeous home! You will love this country retreat! Autumn is here! The Fall and Winter months can really be a great time to sell your Louisville home, however, there are a few things sellers can do to get more showings and sell faster. Landscaping needs to look great! 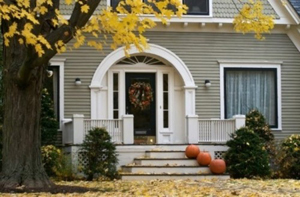 It’s harder to do during the fall and winter months, but the first impression of your home is a lasting one. 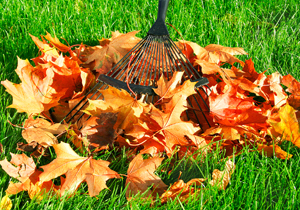 And in the fall and winter, having an attractive yard and approach to your home may be the one item that really makes you stand out from the rest. As so many homeowners let their yards go this time of the year, your home will stand out and immediately feel more cared for than most. 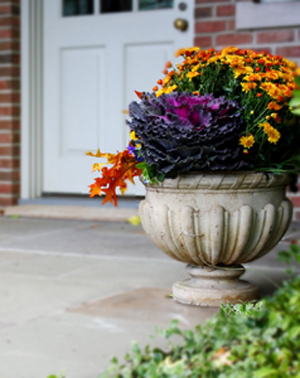 Flowers are not exactly common this time of year in Louisville KY neighborhoods, however, sellers should do what they can to add a splash of color and life by displaying seasonal plants such as mums to the front porch area. Grass being neatly cut, leaves raked and flower beds freshly mulched make for a great first impression. Don’t be stingy with the furnace! Buyers looking at your home should be welcomed into a home that isn’t cold. This is particularly important for those sellers who have already moved out of there home and have a vacant house on the market. When a buyer views a cold home, they tend to walk through very quickly and as a result, don’t take the time necessary to really “see” and appreciate your home. 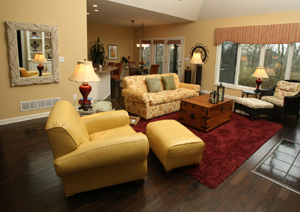 Keep in mind not to keep the home too warm either, as that can make a buyer uncomfortable. All Lights on, curtains and blinds open! This is equally important year round, but in the fall and winter, homes tend to show more “dark” and can feel smaller and less welcoming if the lighting is too low. Turn on every light in the house (including in closets), and if the home is being shown during the daytime, open blinds and curtains as well. Best of Luck and Happy Holidays! 12505 Bridgetown Pl, Louisville, KY 40245 is a wonderful two story home on a quiet culdesac in the Bay Tree neighborhood. A nice tiled foyer opens to the spacious Living Room with neutral walls. 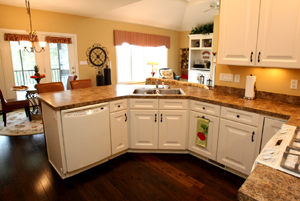 The sunny eat-in Kitchen showcases an abundance of counter and cabinetry and lots of natural light. A pleasant Dining Area overlooks the back deck and opens to the relaxing Family Room which includes a cozy fireplace with tile surround and attractive mantel. A nice half bath completes the first floor of the home. An extra wide stairway leads to the second floor which houses an oversized Master Bedroom, three good sized secondary Bedrooms, and a Laundry Room. The Master Bedroom is a fabulous retreat with a private Master Bath featuring two huge walk in closets, jacuzzi tub, shower, and double sink. All three secondary bedrooms are convenient to a Full Bath and each includes its own walk-in closet! You will love the convenience of the second floor Laundry! No need to carry laundry between floors! The Back Deck is welcoming and the Yard is flat and fully fenced. It is a great spot for outdoor games and parties. The home also includes a two car attached garage. 12505 Bridgetown Pl, Louisville, KY 40245 is in a fantastic location with quick highway access and loads of shopping and dining available! You will not want to miss this lovely Louisville home! Give us a call to set up your showing today! What a beautiful home! 4022 Ballard Woods Dr, Smithfield, KY 40068 is a custom built home positioned on a little over an acre of land in the sought after Ballard Woods neighborhood. Ballard Woods sits right on the La Grange/Smithfield line and is a five minute drive to I-71. This all brick, four bedroom ranch includes a walk-out basement and has a truly gorgeous interior with walnut stained hardwood, columns, and archways throughout the main floor. The front Foyer leads to a spacious Great Room that features hardwood floor, gas fireplace, built in shelving, surround sound system, and a bank of windows for natural light. The Great Room opens to a wonderful Eat-In Kitchen with an abundance of cabinetry, breakfast bar, dual side wine chiller, and GE appliances! The Dining Area looks out to a screened in porch (a peaceful spot to enjoy breakfast and take in nature)! The Formal Dining Room is located conveniently off of the kitchen and fabulous for entertaining. The split floor plan makes this home perfect both for social gatherings or obtaining privacy. 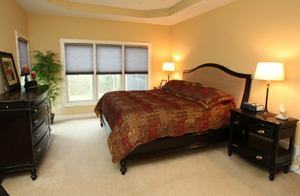 The large Master Bedroom has its own private Master Bath and the three secondary Bedrooms are nice sized as well. There is also a Full Bath on the first floor convenient for guests and the secondary bedrooms. The Walk Out Basement showcases a huge open room that could easily serve as a game room or theatre room. There is plentiful storage space as well as another bedroom and a third Full Bath. The basement also includes a utility "Garden Garage" which accesses the back yard and allows for easy storage of lawn tools or riding mower! 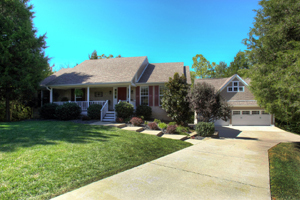 4022 Ballard Woods Dr, Smithfield, KY 40068 is an immaculate home in a highly desirable location. Several "bonuses" include a gas line for your grill, hot tub 50 AMP circuit already installed, whole house surge protection system, irrigation system, and Anderson windows. Wow! Give us a call to learn more about this home! This Sunday October 7th, the At Home In Louisville Real Estate Group will be holding an Open House at 3110 Pioneer Place, Crestwood, KY 40014! Visit the link for additional property information about 3110 Pioneer Pl, Crestwood, KY. Please feel free to browse our website to learn more about other homes in Kentucky Acres or Louisville area Open Houses. 5224 Schureck Ct, La Grange, KY 40031 is an enchanting brick ranch with a wonderful walk-out basement in Mockingbird Valley. Enter the sunlit foyer with beautiful hardwood flooring that flows throughout the Formal Dining Room and Living Room. The Formal Dining Room is accented by decorative chair rail and crown molding. 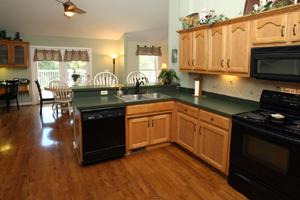 The Eat In Kitchen includes a sizeable dining area and plentiful cabinetry and counter space. A handsome brick fireplace with raised hearth and a vaulted ceiling create a warm and inviting Great Room. The Master Suite is quite spacious with two floor to ceiling windows for natural light and crown molding. The private Master Bath showcases tile flooring and double vanity. The two first floor secondary bedrooms are generously sized and convenient to a Full Bath with neutral décor. The Basement level of the home offers a large Family Room with a fabulous built in entertainment unit! An additional bedroom in the basement contains an exterior window as well as built in shelving. The two car garage with rear entry adds convenience and curb appeal. The open Back Yard and Deck area are the perfect spot for your outdoor enjoyment. 5224 Schureck Ct, La Grange, KY 40031 is sure to capture the heart of its new owner. It has been meticulously cared for and offers a fantastic location with easy transport to award winning Oldham County Schools such as Buckner, OCMS, and OCHS as well as shopping and dining. To learn more about this property or to learn more about Oldham County Homes, give us a call today! 3110 Pioneer Place Crestwood, KY 40014 sits on slightly more than an acre of wooded land in the Kentucky Acres subdivision of Crestwood, KY. 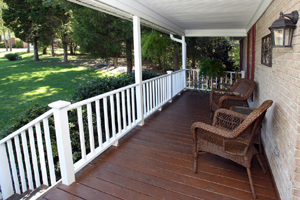 Relax with a cup of coffee or enjoy the breeze on your private front porch. The front foyer with hardwood flooring leads into the spacious Great Room and Kitchen. Sparkling hardwood, breakfast bar, and black appliances are featured in the Kitchen along with plentiful cabinetry and counter space. The Dining Area opens to the Great Room and looks out to the back Deck. 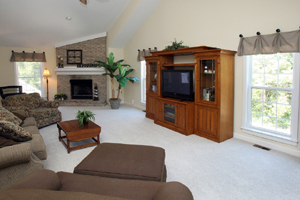 The Great Room includes a floor to ceiling brick fireplace, neutral decor, and high vaulted ceiling. The Master Suite is large with two closets, pendent lighting, private Master Bath with vanity, and a separate door to the back deck. Both first floor secondary bedrooms are good sized featuring neutral walls. The first floor also conveniently offers a Full Bath and Laundry Room. The unique second floor loft area is a nice additional living space and acceses a walk in attic. The current home owners completed the huge walk-out Basement in 2007. The Basement holds a fantastic family room and two more sizeable bedrooms. The huge 3 car detached garage with loft above was also added on in 2007. The loft above the garage is framed and floored and ready to be completed as an office or guest suite! You will absolutely love 3110 Pioneer Place Crestwood, KY 40014 with serene setting, numerous updates, and fabulous Oldham County location! Don't miss this one!